Bilbo and company, having traveled over and under the Misty Mountains, find themselves having to cross through Mirkwood Forest. 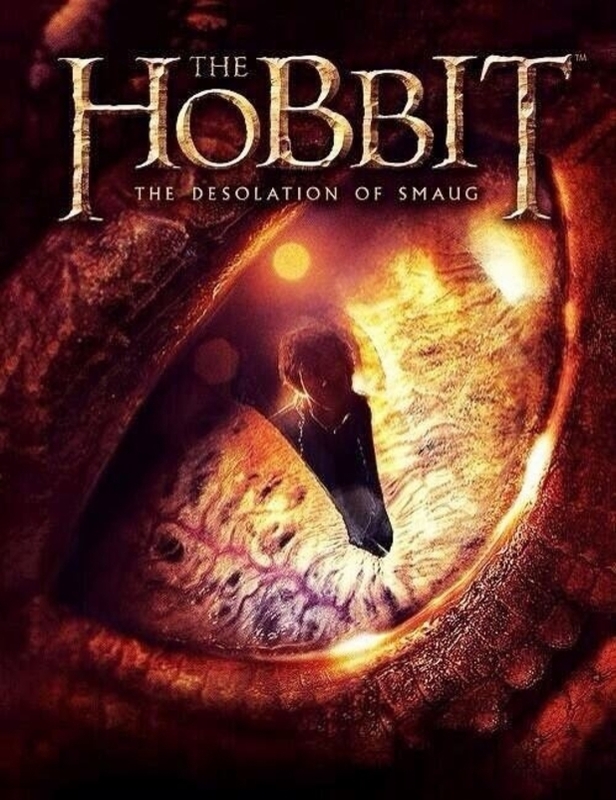 Along the way, they have to deal with spiders, wood elves, the people of Laketown and, finally, Smaug himself. Smaug himself. Amazing effects and performance combine into a truly frightening experience. Thorin’s desire for the Arkenstone. It’s a great parallel to Bilbo/Frodo and the Ring. While I will bag on it in the next section, the action sequences are fun. Several parts are laugh-out-loud fun. I really liked Tauriel’s addition to the story. Tolkien does many things well, writing women is not one of them. Some of the padding doesn’t work. The one that I noticed the most was Laketown. I get where it’s nice to build up Bard’s character more than what we got in the book (where he just shows up and saves the day). The action, while fun, is bordering on cartoonish. The barrel run and the fight inside Erebor are long, complex, well-choreographed sequences, but they’re strain plausibility (even in this setting). Originality has to suffer, being an adaptation, however, Jackson injects new pieces into the tale to make is something different. 4/6. As with Part One, I saw this in the 2D, 24fps format. I could tell there were a fair number of 3D gags built in (bees, arrows, swords, and whatnot coming at the audience) but I just don’t see how that helps the film in any substantive way. I did, however, get to see this at our new Alamo theater and I must give them kudos. Very nice venue, clearly staffed and designed by movie lovers. The pre-show was a hoot and the absolutely, positively, no texting and talking rule was awesome. There was a really huge amount of Not In The Book in this one. But that’s ok. The dragon was fantastic… SFX and voice acting-wise. They… kinda made him a bit incompetent. Then again I don’t know that I would do any better if I just woke up. Might’ve been my imagination but did they actually make him look a bit like Benedict Whatchabatch? Also, was this one not done in HFR? I thought they shot all three at the same time, and since the first one was available in HFR, the next ones would be, too. On HFR, I believe it’s dependent on the theaters having the hardware. It was released on it, but not all theaters have invested in the systems. It was indeed done in HFR. Here’s the trailer in HFR. It’s…interesting. I saw it at the same theatre I saw the first one in HFR… or well. Pretty tired with EVERYONE’s zombie fetish, if you want to know truth. Sooooooooooooooooooooooo stretched out in places. Yeah, they needed to explain what Gandalf was up to, and sure, Tauriel actually works. But the extended action sequences! The endless scene with Smaug took more than a few pages from the playbooks of Jedi‘s Ewoks and Hanna-Barbera’s heroes. Those scenes, for me, did not just strain credibility, they snapped it and then jumped up and down on the fragments. Pity, because much of the film does work.